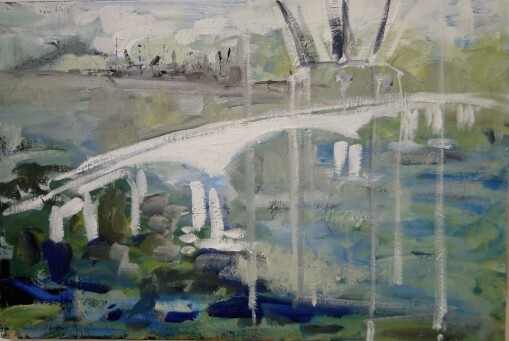 I’ve been trying to paint a good image of the Orwell Bridge for ages to give to my son. Chris became a civil engineer after being inspired by the building of the bridge in the 70’s. It’s a deceptively simple structure. I failed to capture the exacting technical shape with it’s very subtle double curves which are also asymmetric. It also sneakily curves across the river rather than spanning in a straight line like most bridges. Chris instantly spotted the mistakes in the engineering construction so I’ve been experimenting with a more abstract approach. This latest version – I’ve done at least 20 trial runs – is a simplified bridge with one of the pillars superimposed in a vague ghostly style. I think it works. But will have to wait for Chris’s approval before I’m sure. He didn’t like it…so back to the drawing-board. 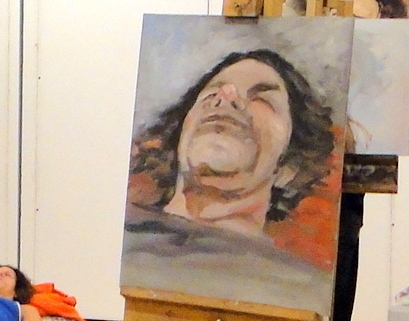 Went on a one-day course run by Tim Benson on portrait painting in oils at The Mall Gallery. Just loved his approach – 6 colours max. and one brush only…. as big as the canvas allows. Magic, just my kind of painting. 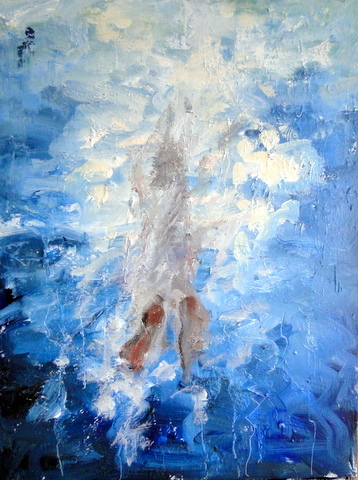 Thoroughly enjoyed it and the return to oils. Tim quickly picked up on my painful lack of confidence and somehow forced me admit that what I had achieved was actually half good. He was so encouraging and his instructions, comments got straight to the point each time. It was a deliberately challenging pose as you can see. But made me want to do more portraits. 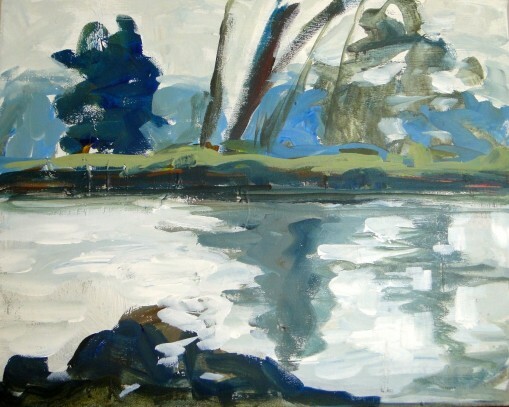 Then to my delight after I’d reTweeted one of Tim’s paintings he now follows me on Twitter. Me and 7000 others ! But Hey …..never mind. 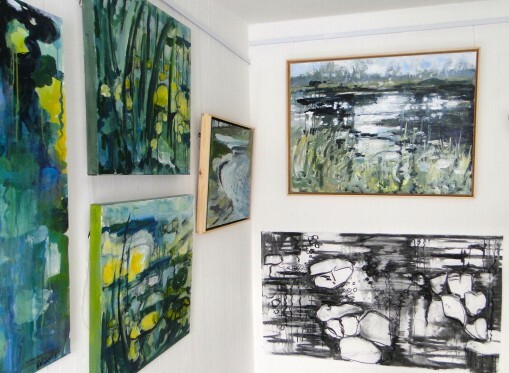 Very excited about my exhibition at The Freudian Sheep which opens on Saturday 8th August and runs until 29th Aug. I’ve called it Landscape of Life Don’t remember spending such sustained time on one subject before. It was a good experience. Every painting developed it’s own back story. Learnt so much too, in the process both technically and about myself. The Sudbury Water Meadows, have become part of who I am. Having moved house and location so many times throughout my life, I don’t have a sense of ‘home’ but found that this place is as near as I’ll ever get to it.